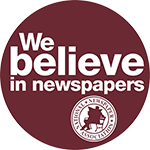 Judging results have been processed and the General Excellence winners of the National Newspaper Association 2018 Better Newspaper Contest and Better Newspaper Advertising Contest have been posted online here. Winners will be recognized at the awards breakfast, which will be held Saturday, Sept. 29, 2018, during NNA’s 132nd Annual Convention & Trade Show at the Waterside Marriott in Norfolk, VA. When notified, the first-place winners had some positive things to say about the newspaper industry and NNA. The Southwestern College Sun in Chula Vista, CA, won first place in the college division. "What an incredible honor," said Kevin Hessel, executive editor for the Ark in Tiburon, CA. "We're absolutely thrilled. I'm so happy for and proud of my colleagues here at The Ark, and I'm proud to work with such a talented team of dedicated journalists. I know we didn't get into this business to win awards, but it's always a great, validating feeling to be recognized by your peers for your hard work in trying to serve your community as best you can. "We're still trying to figure out if/how I can make it out there, but we're working on it. I'd love to be in attendance. Thanks again!" The Ark won first place in the non-daily division, circulation less than 3,000. Chris Baker, publisher of the Taos News, said, "The General Excellence award from the National Newspaper Association is a powerful reminder of something our readers already know: The Taos (NM) News staff is among the best in the business, producing top-notch reporting, photography, writing, and ad design every week of the year. Both in print and online. The Taos News won first place in the non-daily division, circulation 6,000-9,999. The Sioux City Journal won first place in the daily division. The Idaho Mountain Express, Ketchum, ID, won first place for non-daily division, circulation 10,000 or more. The Riverhead News-Review in Mattituck, NY, won first place in the non-daily division, circulation 3,000-5,999. 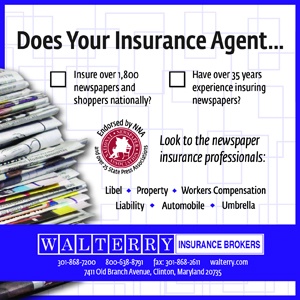 Members submitted 1,405 entries in the Better Newspaper Editorial Contest and 202 entries in the Better Newspaper Advertising Contest for a total of 1,607 entries. One-hundred-fifteen member newspapers in 38 states won a total of 478 awards. 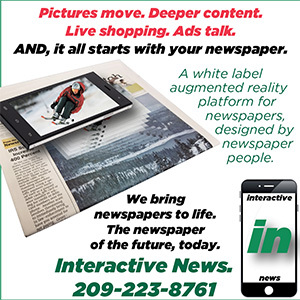 Active community newspaper editors and publishers, as well as retired university journalism professors and retired or former newspaper professionals, judged the contest. To learn more about the convention go here. To register for NNA's convention, go here.